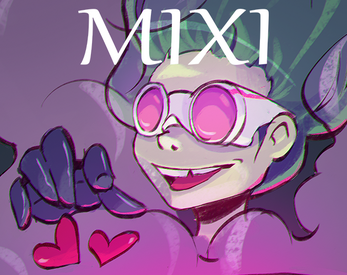 Mixi is an action puzzle game about working in a potion factory. Decide which pot to put each ingredient in. Once a pot has 5 ingredients, they get mixed and points are awarded. Add several of the same ingredient for bonus points. Add even numbers of goats or the pot will be worth negative points! Get as many points as you can in 90 seconds. The music is so cute!